To search for anti allergy fabric that will act to block house dust mites (HDM) from finding a home follow the description set by a clinical study. The description is also for DIY fabric covers for cushions, duvet covers, or pillow cases, etc. 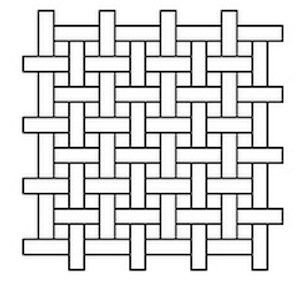 Please note: Tightly woven fabrics are derived from twisted cotton or synthetic fibres perpendicular to each other and having either a regular, systematised bi-or tri-axial weaving pattern. To block dust mites from entering a fabric a thread count greater than 246 per square inch is advised. A pore size of 6 is recommend as satisfactory for 'breathability'. Patients with allergic dermatitis need to be aware that some anti-mite fabric may feel uncomfortably 'hot'. An extra layer of a washable cotton quilted cover over the mattress may help keep the sleeper comfortable while absorbing perspiration. Cotton quilted mattress covers must be hot washed, or washed normally then dried in a hot tumble dryer every two weeks. 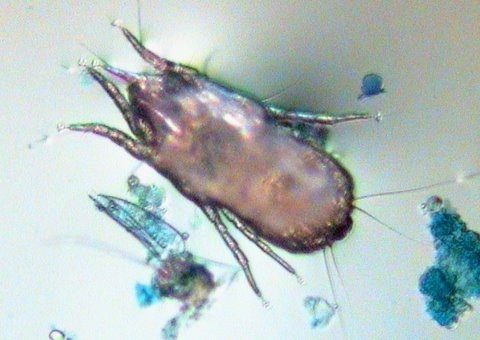 This will prevent any travelling mites from finding a home.